I can not at this time, tell you when the book will be available for you to read. Perhaps you should write to Wido publications and request it. Until it does come out, I appreciate your interest in the book and we shall all keep our fingers crossed that it comes out soon. 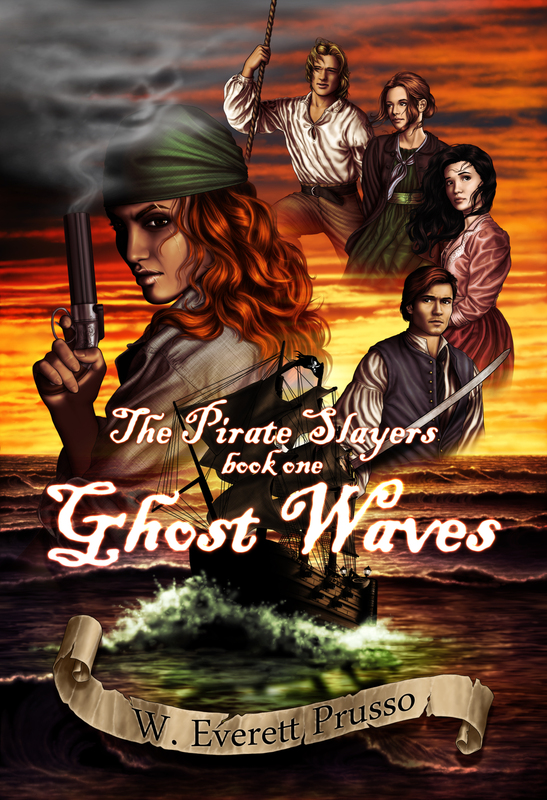 Click on one of the thumbnail images to see Ghost Waves in Japan, Germany or the UK! Ghost Waves goes international! 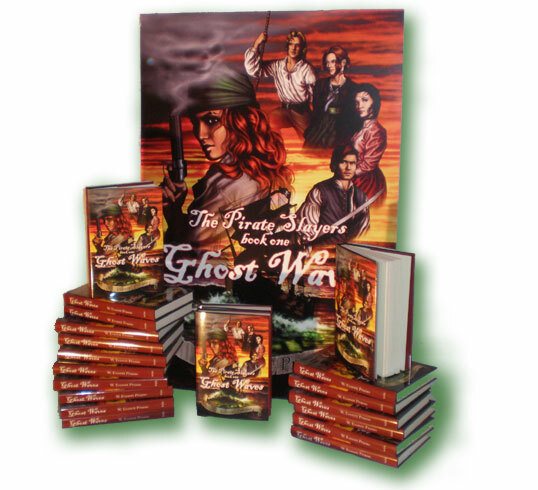 Ghost Waves is now available at Deseret Book! You can purchase copies at the Fort Union, Southtown Mall and Sugarhouse outlets, or order online at Deseret Book.com. 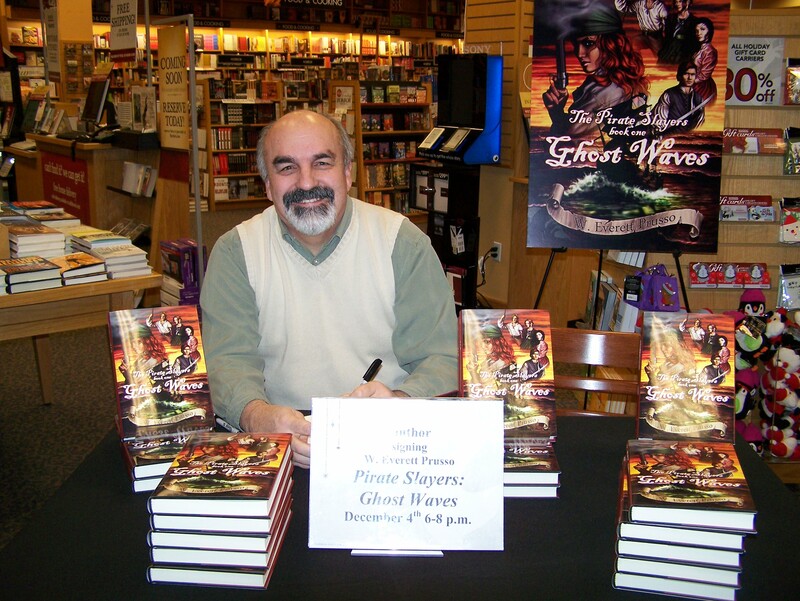 Order an autographed copy of Ghost Waves. I’d love to sign a copy for you. Click here, then enter the name to whom you wish me to address the autograph, then click on the orange button to check out though Pay Pal. I will post the book via USPS the same day I recieve the order. Go to Got Pirates blogspot. 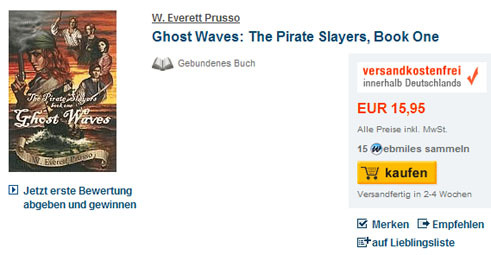 For those of you who don’t know me, when you see my name on the Pirate Slayers’ cover, W. Everett Prusso… you probably don’t think anything of it. But, for those of you who do know me, you’re probably wondering, “Whose Everett!” Well, Everett was my grandfather. 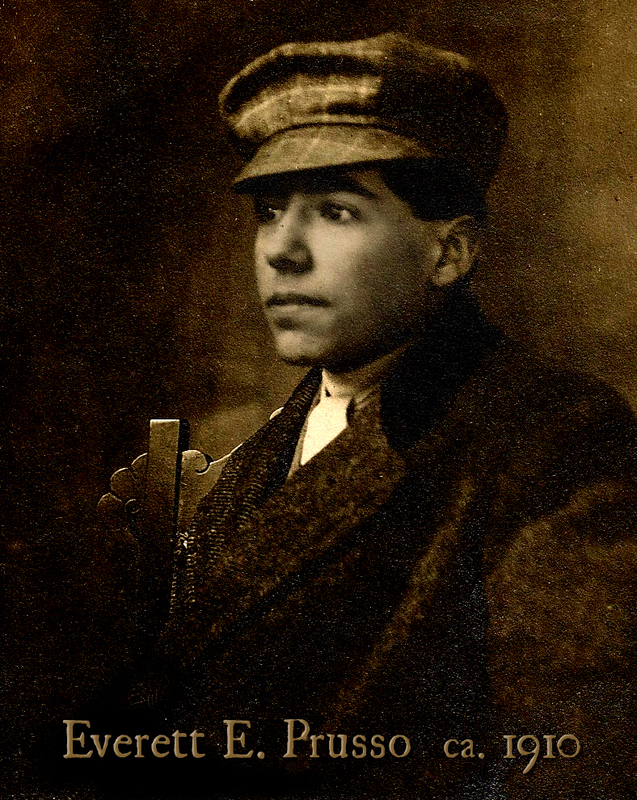 Everett Eugene Prusso. Some of my fondest memories were when my sister, brother and cousins would get to sit at my grandfather’s feet and listen to the stories he would tell. Stories about ghosts and stories about old California. About eight or nine years ago I decided that if my name was William, I was going to see if I could get people to start calling me that. Today, must people out side my family know me as William. So, why Everett on my book. Along with wanting to be called William, I decided I liked the name Everett after all. When I started to write, I wanted a way to dedicate my work to my grandfather. I hear his voice in my head as the narrator when I write, so in tribute to him, his name will be on all my books. 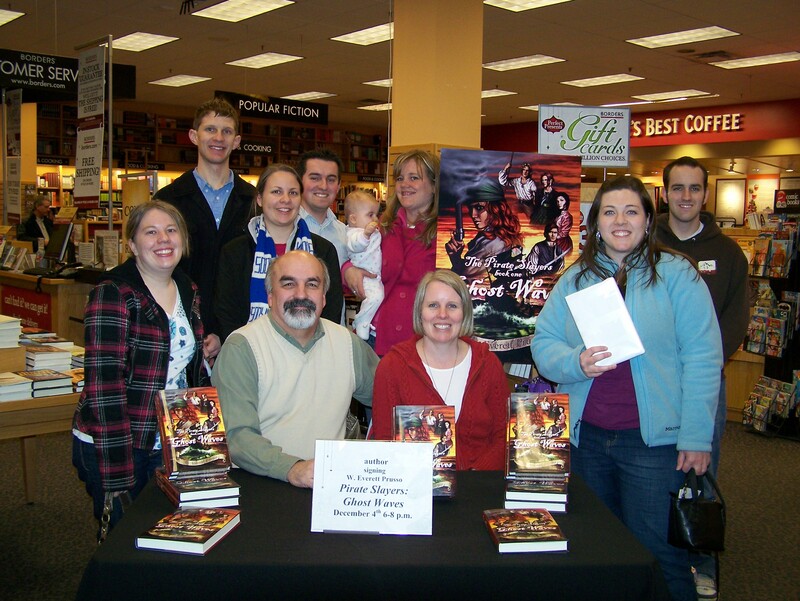 First Book Signing at Borders..
Mark you calendars… December 4th, 2009… Borders in Murray… 6-8 pm for my first book signing gig! According to Wido’s marketing department, if you’ve ordered your book on Amazon.com… the order should be fulfilled starting tomorrow, Tuesday, November 24th…. Keep your fingers crossed. I have not seen the actual book yet myself .. so I am only passing along the information I’ve been given….